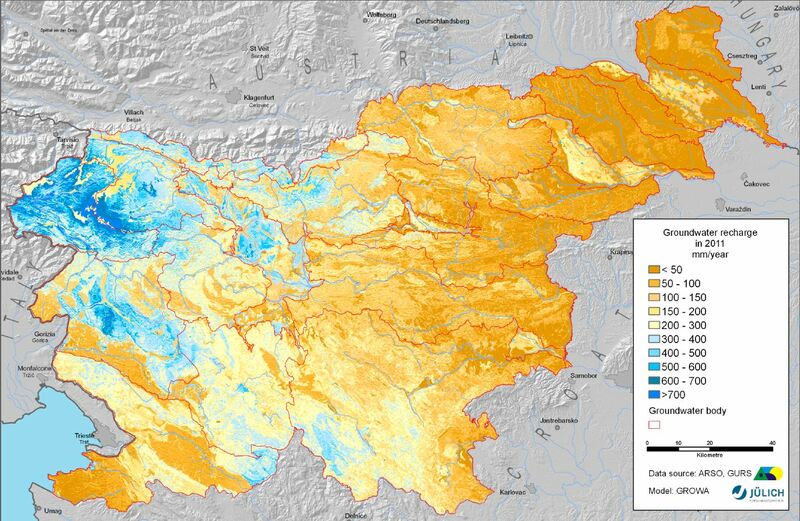 Total renewable groundwater quantity in shallow aquifers of Slovenia in 2012 was below the 2000 to 2010 average, but slightely higher than in years 2011 and 2003, the most dry year of the last decade. Figure VD15-3: Index of annual average groundwater recharge of shallow aquifers of individual groundwater bodies. 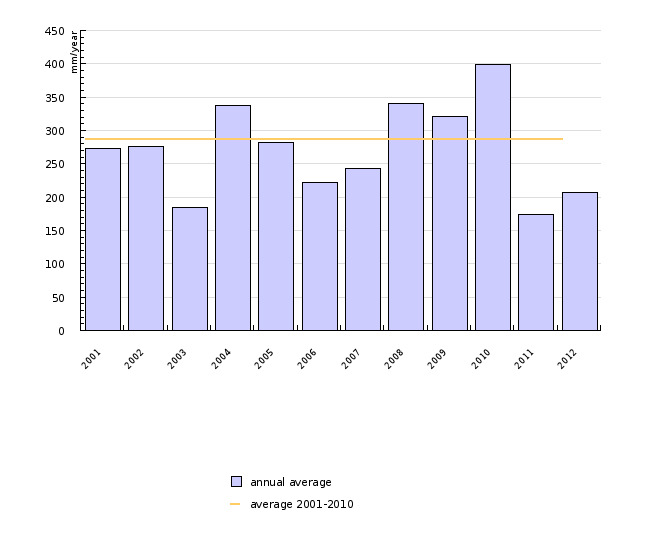 Average 2001 to 2010 = 100.